WASHINGTON, D.C. — A report released today reveals that major retail companies are making slow but meaningful progress at improving the chemical safety of the products, food, and packaging they sell, but nearly half of those scored — including every restaurant chain evaluated — have failed to take any public measures to help eliminate toxic chemicals from the products they carry. The third annual Who’s Minding the Store? 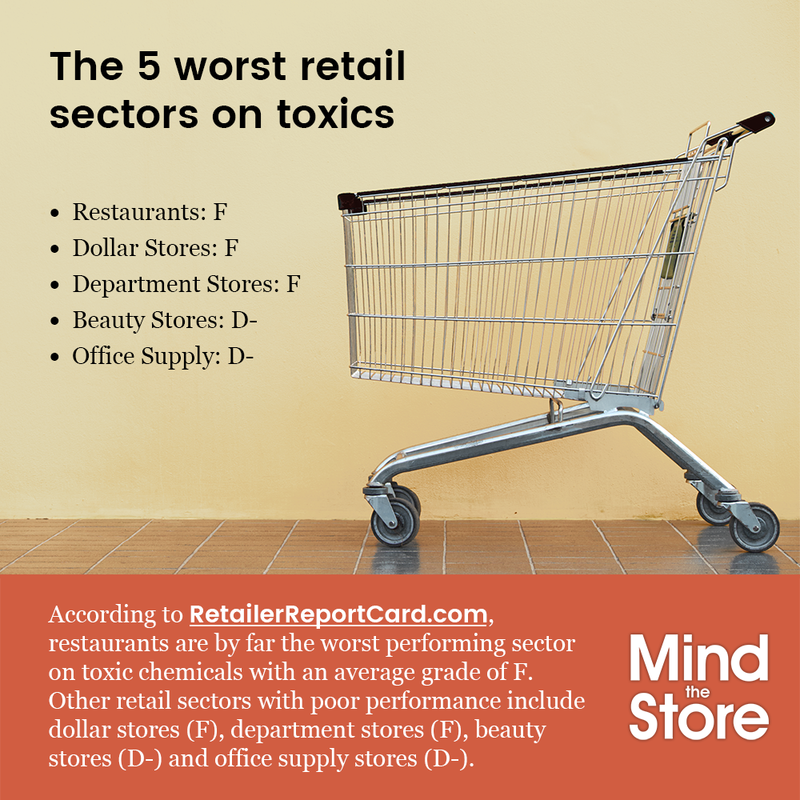 A Report Card on Retailer Actions to Eliminate Toxic Chemicals evaluated and graded the chemical policies and practices of 40 of the largest North American retailers, including grocery and fast food chains, as part of Safer Chemicals Healthy Families’ Mind the Store campaign. Four retailers received the highest grades for their work to protect customers from toxic products and packaging, setting the pace for the industry: Apple (A+), Target (A), Walmart (A-) and IKEA(A-). In 2018, Walgreens, Rite Aid, and Amazon were ranked “most improved” with all three companies announcing sweeping chemical safety policies over the past two months. Take Action: Tell major retailers: Get toxic chemicals out of products!